Nobody denies that having something free feels great. However, is it really the best choice when it comes to a screen recorder software? If you are running a business and want high-definition videos to pitch your clients or train your business, you need good software that records at a high frame rate. You have to impress the other person and grab their attention. The same goes for a YouTuber. If you upload low-quality videos, your subscribers will gradually start unsubscribing because they will think you aren’t enough efforts to maintain quality. Which is the better screen recorder software: free or paid? Most free screen recording software only record up to 15 seconds of videos. You will rarely find software that records up to two to three minutes. If you want to record small videos, free software is the better choice. If your profession greatly depends on making videos and presentations, you might want to purchase a paid software as they come with unlimited recording time feature. Also, the free software only offers up to 2GB of cloud storage, whereas a paid one offers around 1TB cloud storage. You are using someone else’s software, so there is going to be a watermark. You can use it if you are using it for personal use. A paid software doesn’t add its brand watermark on your video. You hold complete rights to your recording and don’t have to worry about the license. You can also add a custom watermark when you use a paid screen recorder. Video quality and clarity will weaker compared to a paid software. The video you record can show delay or lag. With a paid software, you don’t have to worry about any of it. You can compress the video and reduce the file size. It won’t lag or show delayed activity either. You can also select the section of the screen you want to record, an option you don’t get with a free one. It goes without saying that a free software has a limited bandwidth. It will work when your business is small and have a restricted audience to cater to. However, as your company grows, you might want to make more videos and reach a larger audience. You will ultimately have to purchase a paid software. You can do that right at the beginning, so you make a greater number of videos and reach popularity faster. Free software is compatible with a limited number of formats. YouTube or any other platform might not accept the free formats. If it is compatible with other formats, you might have to pay for them, which comes down to the same thing. You don’t have to worry about all that with a paid software. It supports a wide range of formats and automatically adjusts the video to different screen sizes. A free software might only allow you to record videos only for a limited number of times. After that, you will have to upgrade its premium version. A paid software lets you record an unlimited number of times. Some software are available on a yearly-license basis, but most of them charge a one-time fee. By now, you are convinced that buying a paid software is the most practical and hassle-free solution. Movavi Screen Recorder Studio is one of the best-paid software in the market. 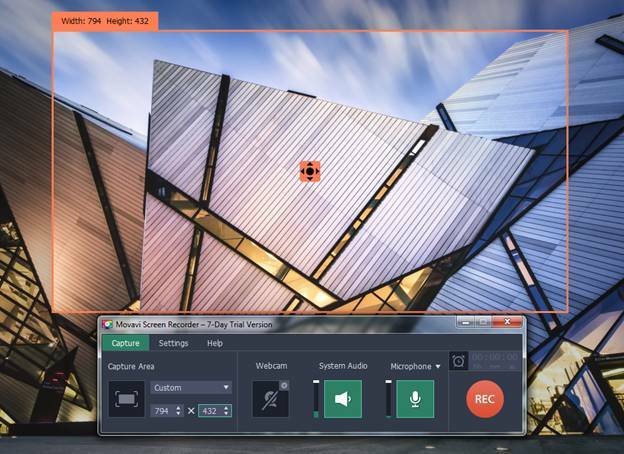 It is a two-in-one software, which includes a screen recorder and video editorand you can download it here www.movavi.com/screen-recorder/. Other than capturing online videos, live streams, and how-to videos, you can upload recordings from your computer and edit them. You can download its free seven-day trial version to see how you like it.